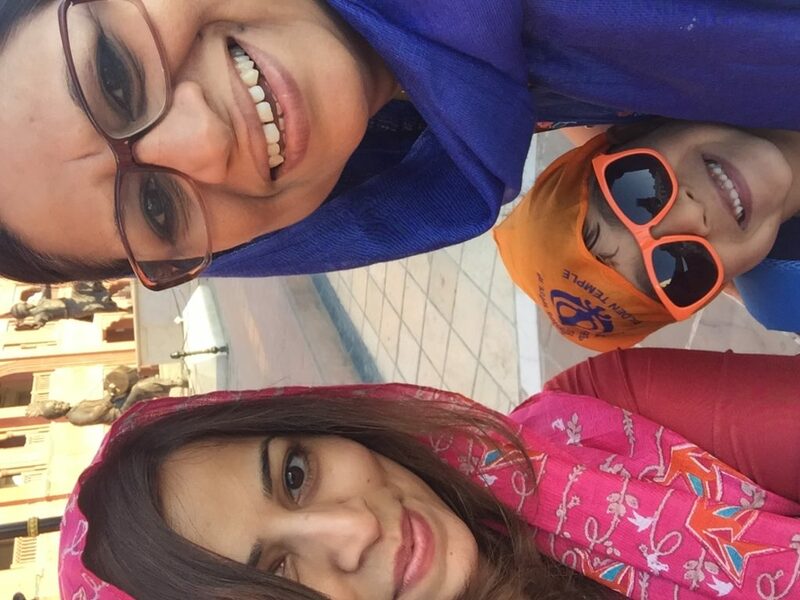 We had more than our share of travel drama though and the much awaited Amritsar trip almost didn’t happen. We fought the odds and my mom, R and I finally arrived in Amritsar just as the sun was rising. The early morning air was cool and crisp and it was refreshing to be away from the traffic and smog in Delhi. We decided to head straight to the Golden Temple as it was too early to check in to our hotel. The Golden Temple is the most celebrated gurdwara for the Sikhs. 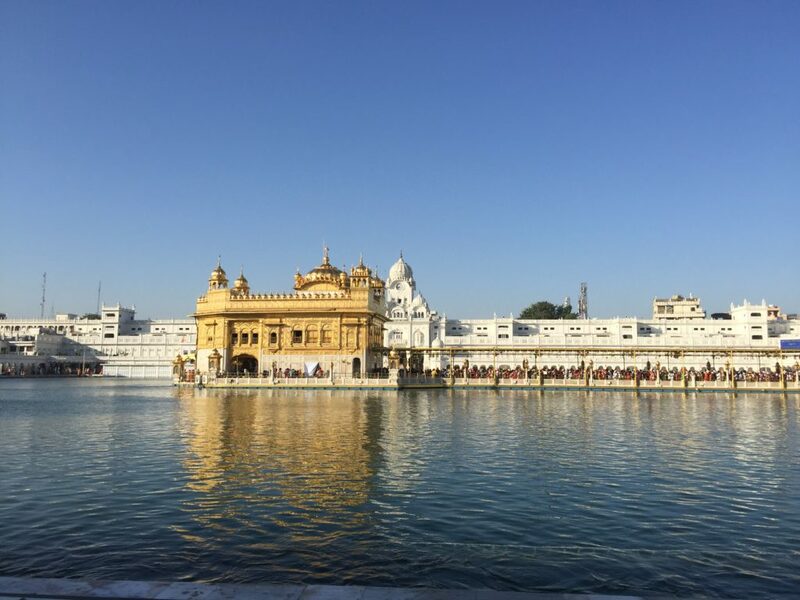 Harmandir Sahib is the temple’s official name but it is famously known as The Golden Temple. Here’s my much awaited first glimpse of the Golden Temple upon entry into the pristine temple courtyard. The Golden Temple is surrounded by a beautiful lake. The temple grounds were quiet when we walked in giving us a chance to enjoy and appreciate the beautiful ambience and music. I still can’t get over how beautiful the whole experience was. Gurudwaras have been a significant part of my life thanks to my paternal grandmother who was Sikh. 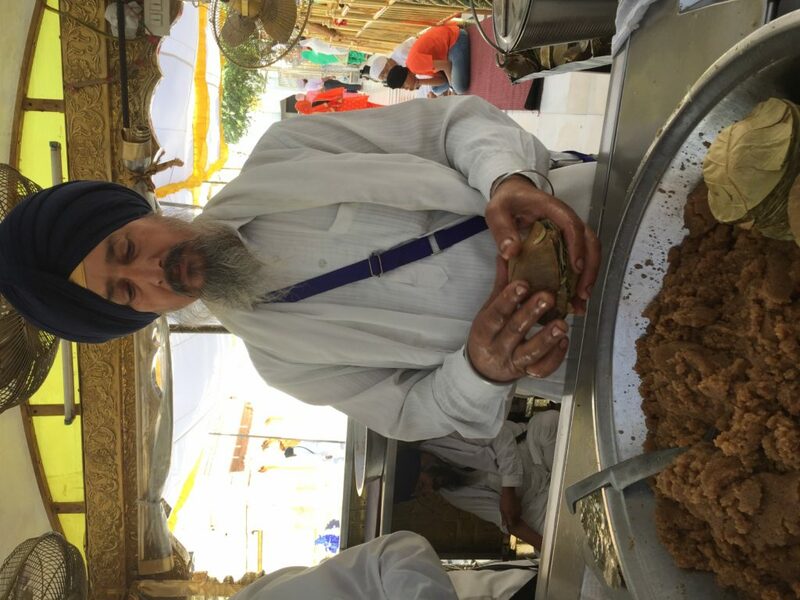 As a child, what I loved the most about a gurudwara visit was the Karah Prashad (a sweet halva made with wheat, sugar and ghee). R is exactly the same and his face lit up (as did mine) when we saw this huge bowl of prashad outside the temple. Despite the relatively quiet time for the temple visit, we waited in an orderly queue for around minutes before going into the temple. We then walked up towards the golden dome and spent some time taking it all in. It was a beautiful morning and the peaceful music playing throughout the temple made it a very blissful experience. After the temple visit, we spent some time sitting by the gorgeous lake around the temple. 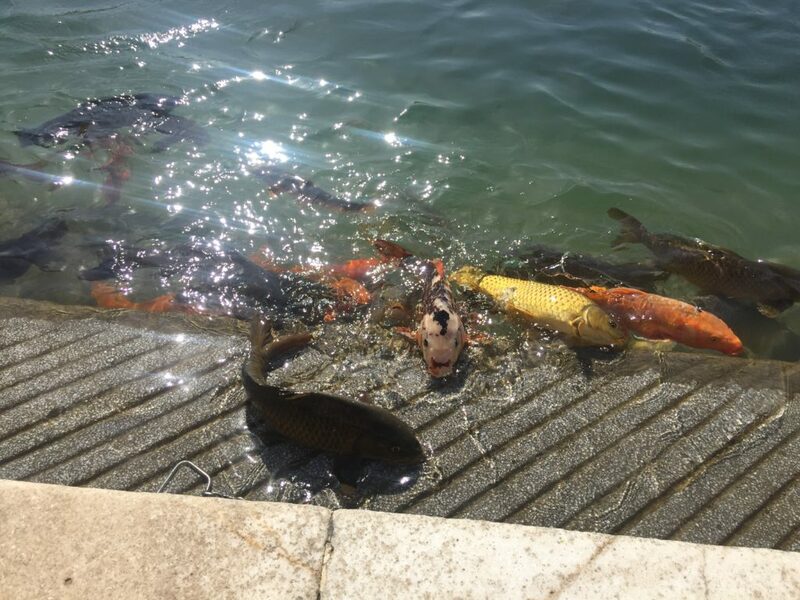 The lake had some gorgeous fish inside, which of course, kept R quite busy. Located inside many temples is a free community kitchen known as langar. 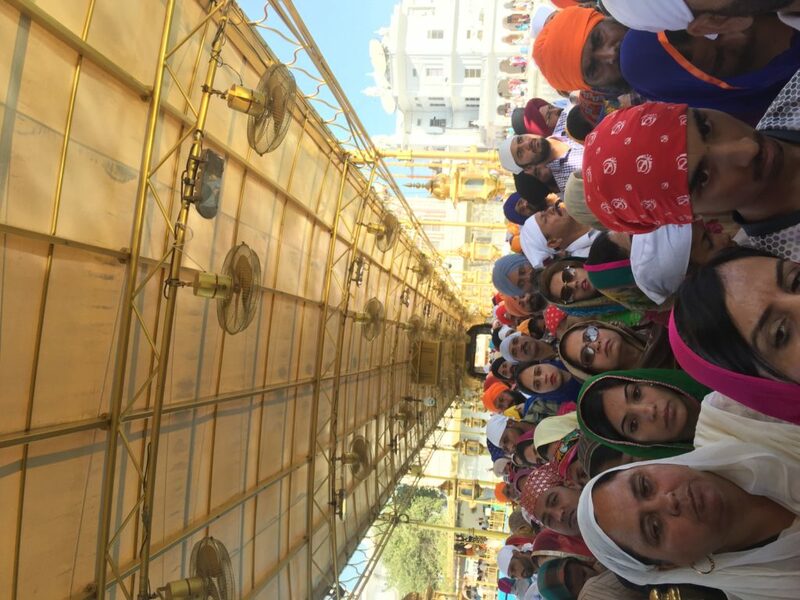 The langar at the Golden Temple is capable of feeding 100,000 people daily making it the largest free kitchen in the world. Vegetarian food is served to all, regardless of faith or background. Unfortunately, due to the timing of our visit, we weren’t able to enjoy the langar. Definitely on the list for next time though. We walked around the market outside the temple for a bit before heading to Brothers Dhaba, one of the oldest restaurants in town. 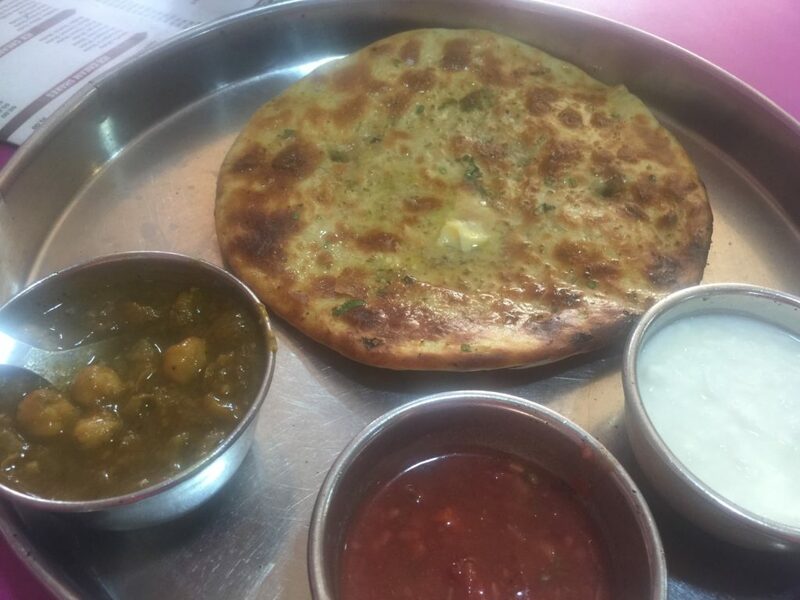 We enjoyed the Amritsari specialty stuffed kulchas with chole (chickpea curry), yogurt and chutney. 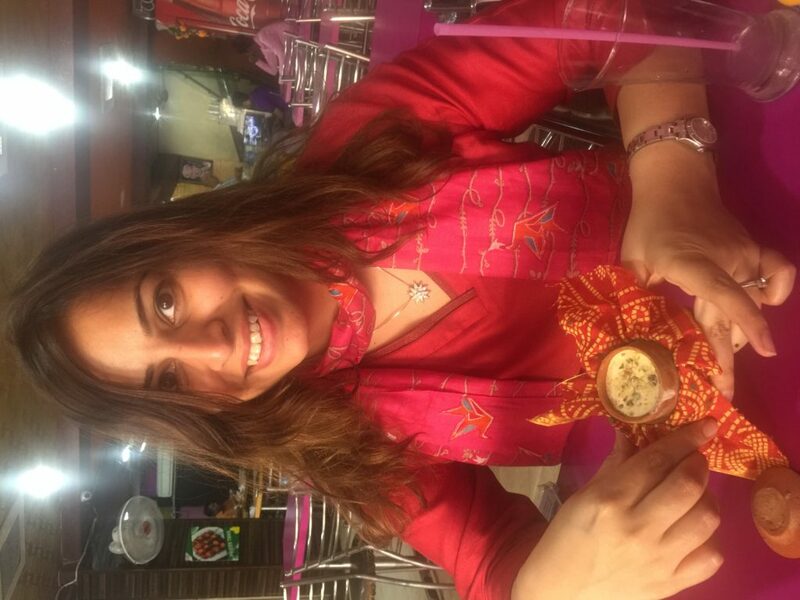 Followed by another Punjabi specialty, Matka Kulfi (creamy Indian ice cream). After lunch, we headed to the hotel for a quick rest before driving up towards the famous Wagah Border. Wagah is the border between India and Pakistan. A colourful ceremony happens at the border gates every evening with a festive atmosphere full of song and dance on BOTH sides of the gate. 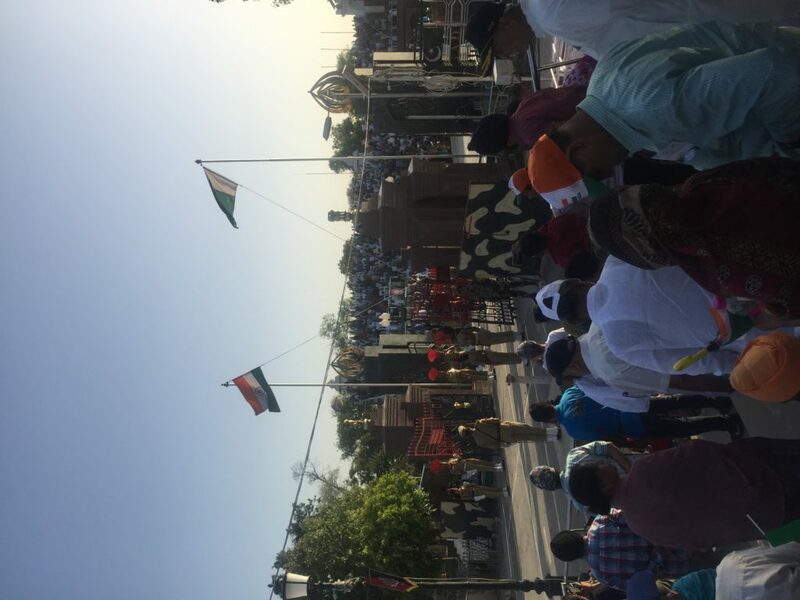 Again, Wagah Border had been on my travel list for so long and I feel lucky to have finally experienced it for myself. 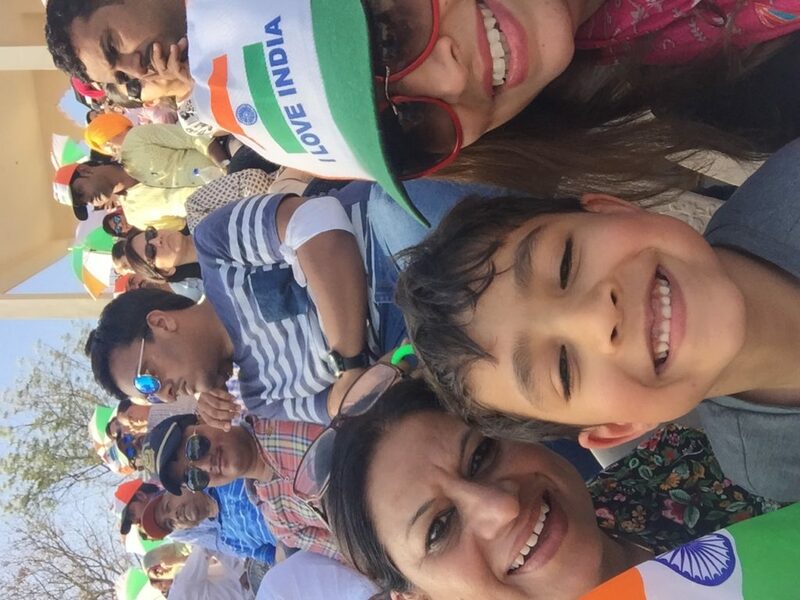 The maternal side of my family came to India from Lahore, Pakistan during the Partition. It was extremely important for me to make this journey as it was probably the closest we would ever get to our roots. 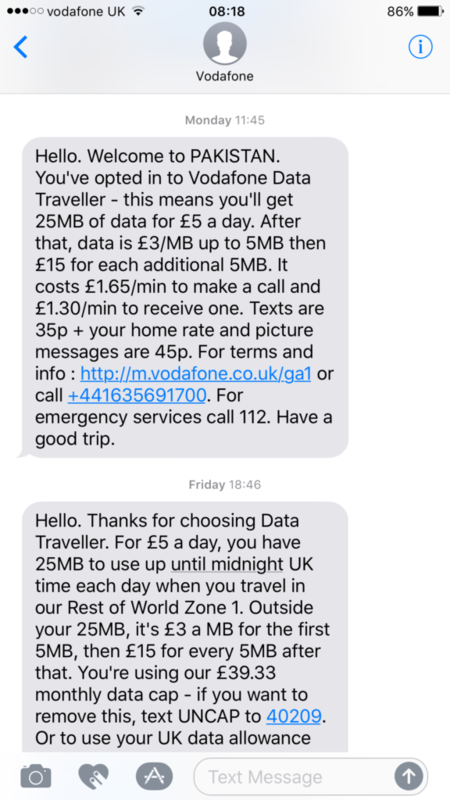 It isn’t so easy to get across the border but Vodafone sure did welcome me to Pakistan! 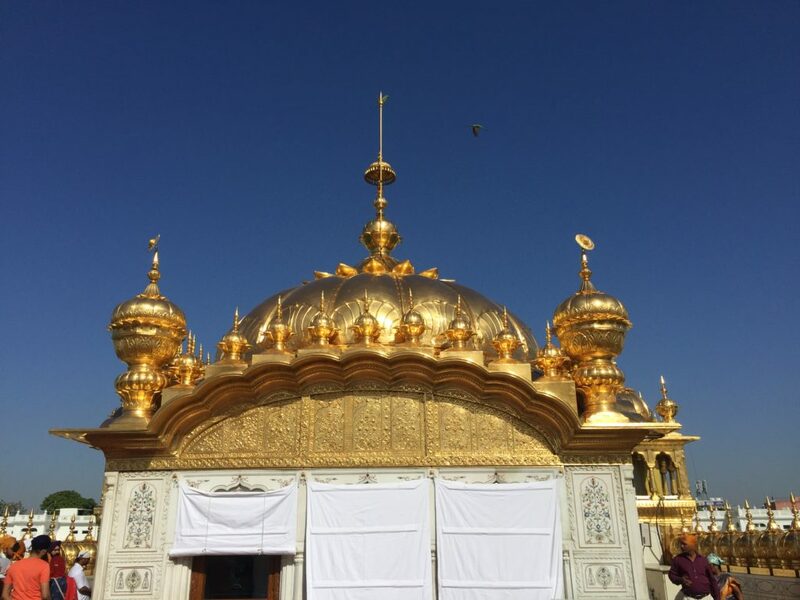 It was a fantastic day in Amritsar and I went to bed very early that night feeling exhausted, accomplished and full of Amritsari kulchas and kulfi. It was too short of a visit and I can’t wait to go back again to do full justice to the delicious culinary scene in Amritsar.